Former Australia coach Darren Lehmann has joined calls for Steve Smith, David Warner and Cameron Bancroft to have their bans set aside and be allowed to return to state and global cricket. Peever indicated he would not be joining the exodus from CA and said the 12-month bans on Smith and Warner and a nine-month ban on Bancroft would stand. 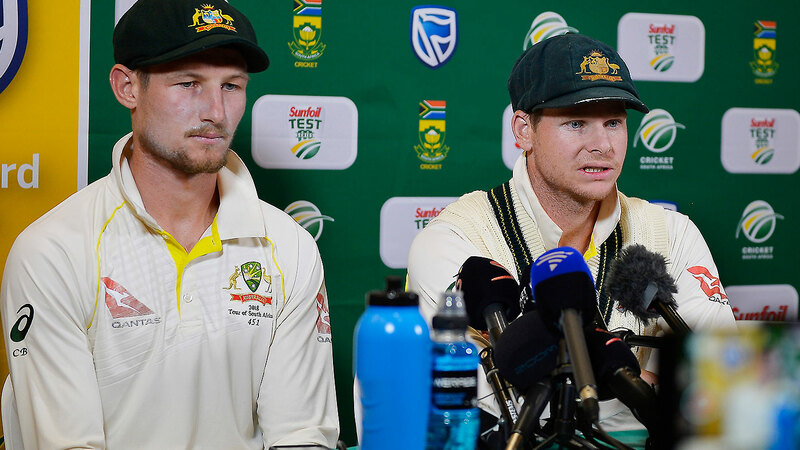 New Australia coach Justin Langer and captain Tim Paine are charged with changing the culture within the Australian team. "That a financial institution "robbed the dead" is as unthinkable as an Australian cricket player taking sandpaper onto the field of play", he said. "Women's cricket remains unaffected", the review states in its executive summary. "In our opinion, CA's fault is not that it established a culture of "win at all costs". The administrators make the mistake, the players cop the punishment. "The business of cricket has overwhelmed the playing of cricket". CA says it supports "in principle" executive remuneration linked to the culture of CA and, to a lesser degree, the culture of cricket across the country. However, it was pointed out CA had applied the recommendations from the Argus Review in 2011, established to address the team's then poor performance. "The most common description of CA is as "arrogant" and "controlling". "The core complaint is that the organisation does not respect anyone other than its own". "Players feel they are treated as commodities. There is a feeling among some state and territory associations that they are patronised while sponsors believe their value is defined exclusively in transactional terms". The report proposes 42 recommendations in order to fix the state of Australian cricket. "The ACA's negative assessment of CA is extreme, matched only by the positive assessment offered by the CA Board". We're all involved in sport to win games and grow cricket teams. "But, they did, and the silver lining is that it's precipitated this work and a chance for us to have a good look at ourselves". "Cordial, friendly, there's a thawing which has commenced is how I'd describe it", Dyer said of the relationship. When asked whether words such as arrogant, bullying and disrespectful give a fair picture of the Australian set-up, he said, "No, I don't think it is". Respondents say that the focus on outcomes does not extend to a critical examination of the means by which those outcomes are achieved. "Now, it's not a hiccup, it's much more than that, and my response to that was when I saw that interview and I saw that comment, I thought Australian cricket can do better in choosing its chairman and the game deserves better governance, the game deserves better leadership".